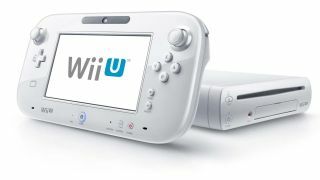 Nintendo Wii U price, release date, launch titles set for Sept. 13 reveal? Gamers awaiting concrete details on the launch of the Nintendo Wii U console may be in luck. Nintendo has announced it will hold a preview event in New York City on September 13, where it is expected to announce the release date and pricing for its next-gen system. Nintendo of America Reggie Fils-Amie will be there to explain "more about how the Wii U will change the future of gaming and entertainment." The company is also promising Wii U hands-on time and game demos, which will hopefully mean the confirmation of launch titles. The Verge points out that the company held a similar event for the Nintendo 3DS handheld console last year where the release data was announced and its sources expect the same this time around. Although the event may only serve-up details for US-based fans, it's also likely to clue UK gamers into Ninty's launch plans for a launch on home soil. It's also highly possible that Nintendo will hold a similar event in London also. We've been awaiting news on this front since the re-reveal at E3 when Nintendo gave very little away, other than to confirm a Christmas 2012 launch.